Reporter assays are a very useful tool for measuring changes in gene expression. The specifics of a particular assay are up to you! We most commonly use a mammalian expression system, however we are capable of doing other expression systems. Most projects involve high through put screening of a large number of different compounds on a target, however we also specialize in lead optimization for a newly developed assays. 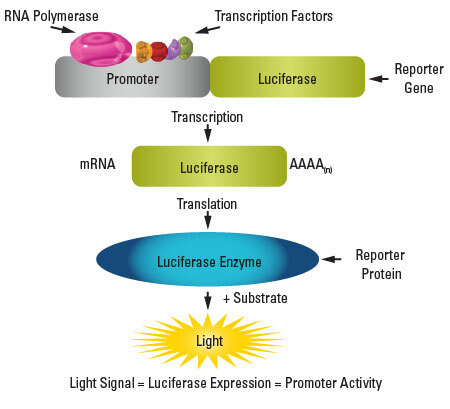 Here is a set of data that came from a transfection of a dual luciferase reporter where the effects of a drug was compared to a known agonist of the same target. 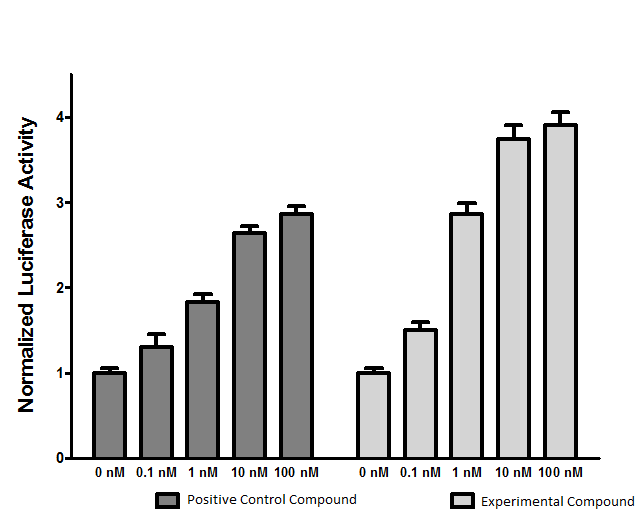 The results were normalized against an off target luciferase which corrected against variations in cell plating densities and growth. Results indicated that compound of interest stimulated significantly increased levels of transcription of the target at concentrations over 1 nM.